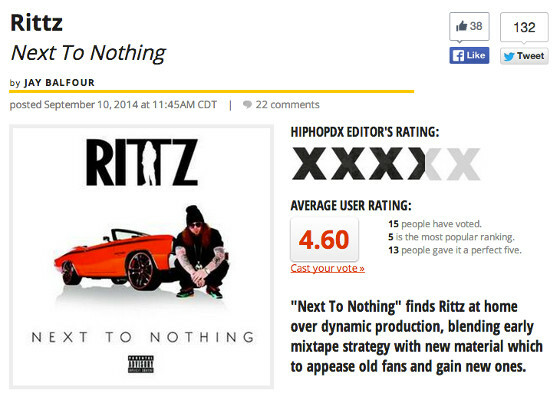 Peep another review for Rittz from his newest album, the incredible Next To Nothing. This time HipHopDX joins the critic’s circle and throws down their two cents on Rittz’s highly anticipated follow up to the new-classic The Life And Times of Jonny Valiant. The review takes note of Rittz’s vulnerability on tracks like “Basket Case” and his incredible double-time flow throughout.